We work in Open Cart in e-commerce site development for more custom-friendly betterment. In addition to other platforms it also helps ecommerce web development as well as in online shopping related transactions. It helps us to design and develop your business portal with huge range of add-ons like unlimited categories, products, brands, and manufacturers viewed in multi-language with multi-currency facilities. Your customers may expect the other facilities like Product reviews, ratings, suggestion and complaints space, download product info everything in your site. You may also like to have such add-ons like automatic product image re-sizing, multiple tax ratings, product comparison, shipping weight calculation, discount coupon system, printable invoices, sales report, and error logging etc. We really enjoy engineering all these wants in your site with the help of Open Cart’s unique modular system. I also can include so many additional features now and in the future which makes your branding presented with a signature mark in e-Commerce world. 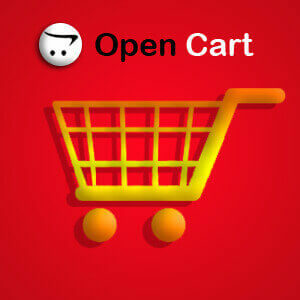 We use Open Cart for its open-source programs utilities with its framework and custom coding with numerous add-ons. That helps a lot to develop customization with a complete control over the e-business process. It allows to arrange a lot of utilities on your e-commerce site to help your customers and all in a very competitive price.